Experience the Power of Dexter Free for 2 Weeks! 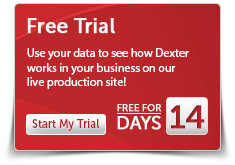 Sign up for a free, two week trial to see how Dexter can help your business. Your only obligation will be court fees for any sites searched that require payments to the courts. No startup fees, no XML integration charges. It's easy to start using Dexter! First call our office and speak to a representative to get an account setup. We do this because your Dexter trial is a live production site. Your Dexter trial can be accessed in multiple ways including our secure website, Dexter's Standard XML interface, and through software that you already own and like, such as: Deverus HubX, Accio Data, TazWorks, and many more. This means you can use Dexter on more than one interface or not being locked in to one type.